In 2013, Dr Ben Myers from the United Theological College in Sydney and Charles Sturt University led a series of 9 sessions on the Apostles’ Creed at Leichhardt Uniting Church in Sydney. Ben is an excellent theologian and a terrific speaker. Leichhardt UC have some other teaching resources here. The series was filmed and is all on Youtube here. 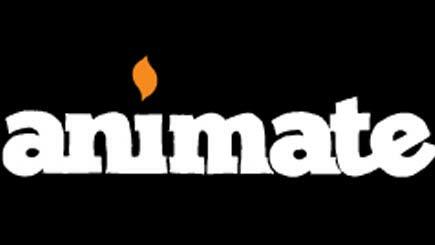 animate is an adult study series from sparkhouse, a US company in Minnesota linked to the Lutheran Church. Containing seven sessions on DVD with discussion materials, the series aims to help adults engage with the nature of Christian faith from a contemporary persepctive. Presenters are of a high calibre and include Brian McLaren, Nadia Bolz-Weber, and Lauren Winner. 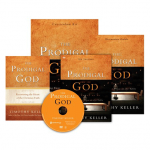 Craig Mitchell reviews confirmation resources from Augsburg Fortress Press in the US here. “Two Sons, one who kept the rules religiously and one who broke them all. One Father who loved both lost sons beyond anything they could have imagined” It sounds like the trailer for a Hollywood blockbuster. No, it’s a retelling of an old familiar parable but with a very powerful and challenging twist. It shouldn’t really be twist at all. However, after years of superficial reading, Tim Keller shows us that many of us have really missed the point of the parable. Often when we study the parable of the two Son’s in the Luke 11 we think of it primarily as a story of grace to a repentant sinner and not a story of judgment against a self saving religious older brother. Tim Keller spells out the context of the story and its liberating message not only to the repentant sinners who know they need saving but also to the religious one who don’t think they do. Although we don’t like to admit it, that includes most of us ‘good’ church going folk! It is the type of story that causes many a Christian to wriggle in their chairs and look again at the prodigal grace of God.